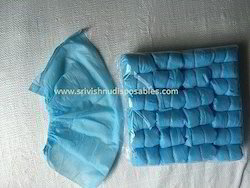 Disposable Non Woven Shoe Covers offered can be made available by us in different finish configurations so as to perfectly match up with the specific usage demands of the customers. 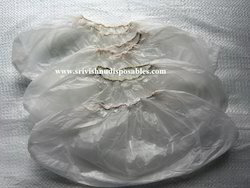 The offered disposable shoe covers come developed in PP material finish and in defied finish sizes. Some of its features include available in different colors like white, blue, green and others; disposable construction finish; available in sewing and automatic style; lightweight and latex free finish; provide for comfortable wearing support and others. We are listed amidst the most affluent manufacturers and suppliers of Shoe Covers, which are fabricated using the premium quality raw material procured from reliable vendors of the market. These are available in variety of forms including Non-Woven Shoe Covers, PE Shoe Covers and disposable Shoe Covers, which ensures their compliance with international quality standards. 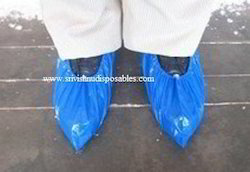 Shoe covers are highly demanded in laboratories, homes, hospitals and other heath sectors. 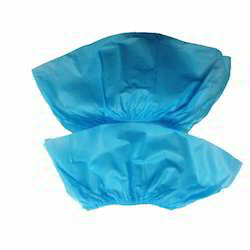 We are manufacturer Supplier of Disposable Non Woven Shoe Cover.